Son of a flaxspinner, who, after working in the family firm, set up in partnership with George T Graham and became joint owner of the Baltic Linen Works. He pre-deceased his father and left his partner to face bankruptcy proceedings. Pole House, Balgay Street, Dundee, 1861. 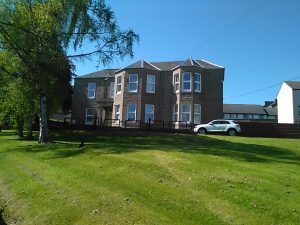 Pole Park House, 5 Fleuchar Craig, Dundee, 1864-1872. Subscriber no.142 – John Mitchell Esq. of Arngask was his father. 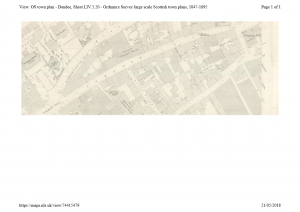 Subscriber no.83 – G. T. Graham was his partner in Mitchell & Graham, Baltic Linen Works, 26 Annfield Road, Dundee and acted as an executor of John’s father’s will in 1885. Baltic Linen Works, 26 Annfield Road, Dundee. The partnership of Mitchell & Graham continues until about 1879. John Mitchell junior died at Pole Park House on 29 October 1879. Sequestration proceedings under the 1856 Bankruptcy Act were commenced against the partnership on 27 December 1879 and concluded in 1883. Sequestration proceedings against John Mitchell junior, manufacturer, Dundee were separately commenced on 3 January 1880 and concluded in 1882. At the Dundee Bankruptcy Court in January 1880 John junior’s partner, George T Graham, relates that the partnership began in about 1862 with a joint capital of £1705 and having purchased ground on Hawkhill and Annfield Road they built the mill and factory, which along with Grayfield House cost £41,081, of which £30,000 was a loan from John Mitchell senior, with the remainder to the credit of the firm. Owing to their limited capital Graham had “opposed the extensive building operations of his partner, but had always to submit.” The firm lost £7150 8s 9d in its last three years and bad debts from trading amounted to over £6000. Graham attributed the stoppage of the concern to the actions of Mr Hendry, law agent of Mr Mitchell senior, having after the death of the son stopped a cash credit at the bank for which the father was a security. Ordinary liabilities were about £17,000 and assets after deducting preferable claims about £6000. 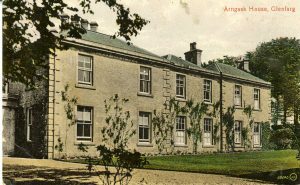 Under his father’s will in 1885 John Mitchell junior was bequeathed the estate of Arngask and Haysmill plus a legacy of £20,000, as his father had not revised the will he created in 1878. His erstwhile partner George T Graham acted as the main executor. 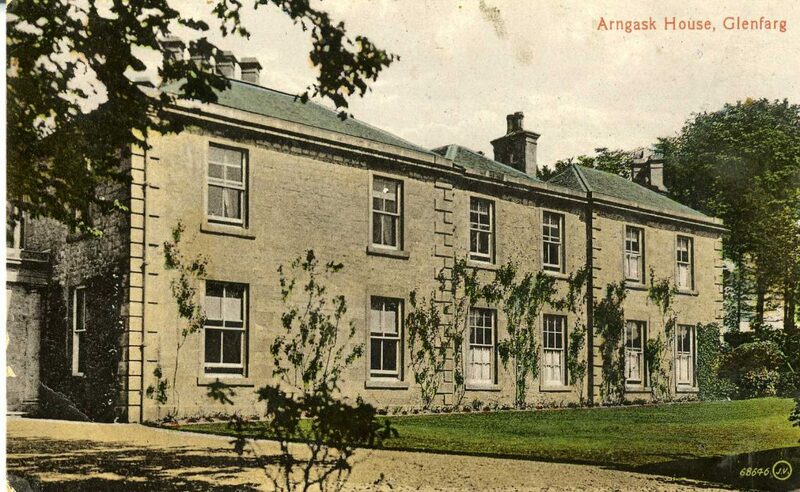 Arngask House did not remain in the family for much longer as by 1891 it belonged to Duncan Macgregor, preserve manufacturer, West Saville Terrace, Edinburgh. 1851 Census Scotland. Dundee, Liff and Benvie. 282 ED94 p.33. Ancestry website. 1871 Census Scotland. Dundee, Liff and Benvie. 282/2 ED27 p.40. Ancestry website. 1861 Census Scotland. Dundee, Liff and Benvie. 282/2 ED42 p.11. Ancestry website. Dundee Directories, 1864-1872. Local Studies, Central Library, Dundee. Municipal Voters Rolls for the Burgh of Dundee, 1871-1879. Local Studies, Central Library, Dundee. Dundee Directories, 1867-1879. Local Studies, Central Library, Dundee. Dundee Directories, 1869-1879. Local Studies, Central Library, Dundee. Dundee Advertiser, Wednesday, 23 December 1863. Local Studies, Central Library, Dundee. Watson, Mark. (1990) Jute and Flax Mills in Dundee. Tayport: Hutton Press Ltd. [appendix 10]. Valuation Roll for the Burgh of Dundee, 1871-72. Dundee City Archives. Dundee Directories, 1864-1880. Local Studies, Central Library, Dundee. Dundee Advertiser, 31 October 1879. British Newspaper Archive website. Concluded Sequestration Process under 1856 Bankruptcy Act, Mitchell & Graham & Co, Manufacturers, Dundee. 1879-1883. CS318/26/242. 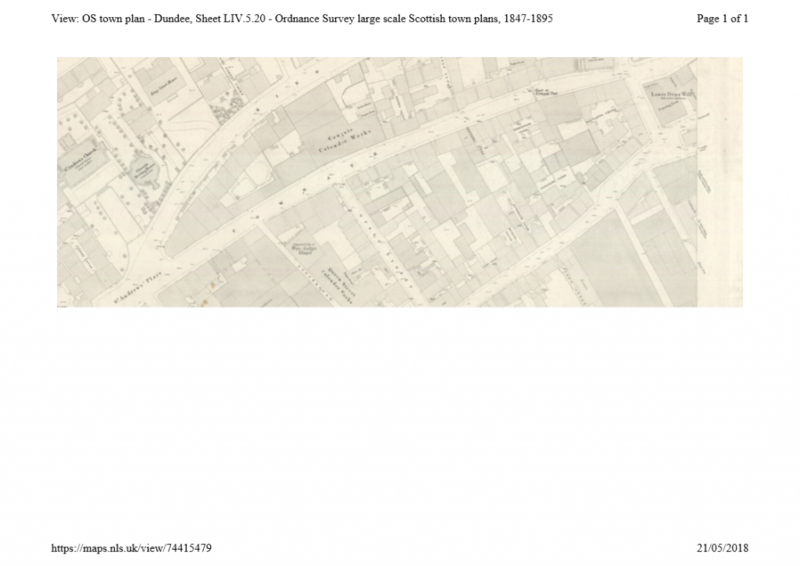 National Records of Scotland online catalogue. Concluded Sequestration Process under 1856 Bankruptcy Act, John Mitchell junior, Manufacturer, Dundee. 1880-1882. CS318/25/333. 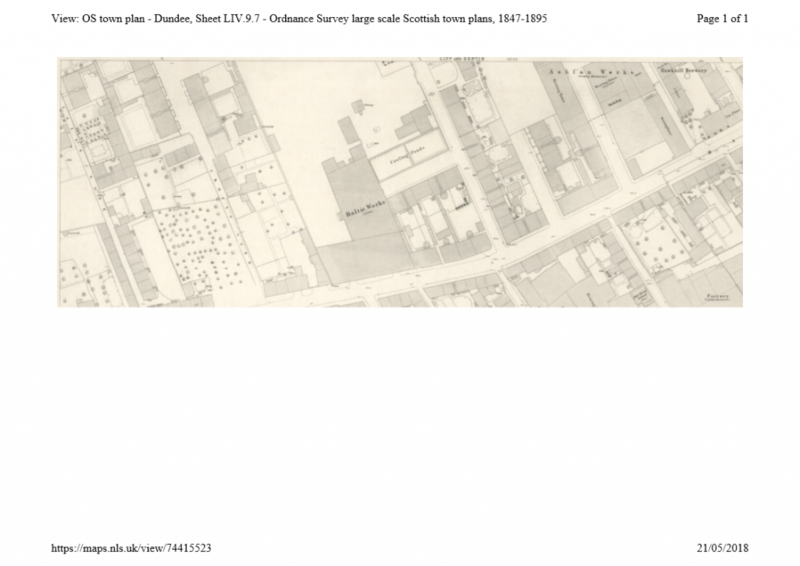 National Records of Scotland online catalogue. Dundee Courier, 19 January 1880. British Newspaper Archive website. Wills and Testaments. Dundee Sheriff Court. 12 September 1885. SC45/31/35 637. Scotlands People website. Valuation Roll, County of Perth, 1891-92. CC1/8/1/35. 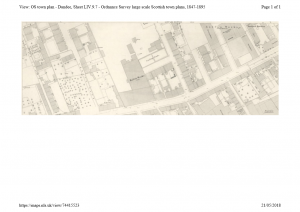 Perth & Kinross Archives. Thanks are due to the ever helpful staffs of Local Studies, Central Library, Dundee; Dundee City Archives; Perth & Kinross Archives and Local & Family History, A K Bell Library, Perth. The information above about John Mitchell junior has been collated from a range of digital and hard copy sources. To the best of our knowledge it is correct but if you are relying on any information from our website for the purpose of your own research we would advise you to follow up the sources to your own satisfaction. If you are aware of an inaccuracy in our text please do not hesitate to notify us through our Contact page.